Barakael Kenedy is a Form IV (10th grade), Mungere Secondary School student who is 19 years old and from a rural village. He's the oldest in his family and aspires to be a doctor when he finishes high school. 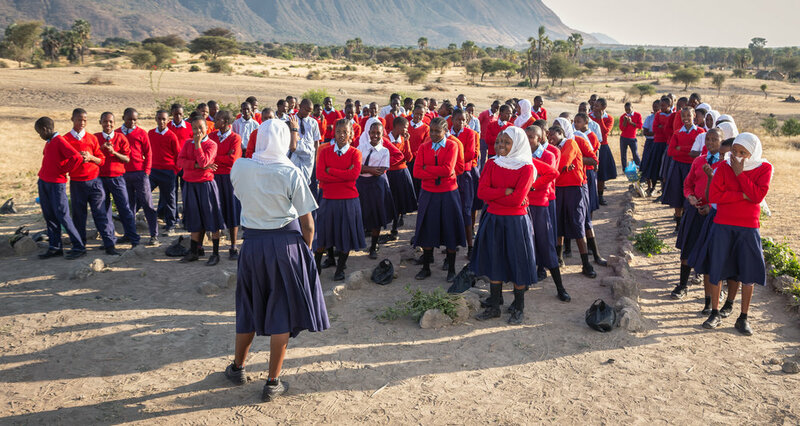 This project took place just a few weeks before his national examinations and delves into the life of a rural Tanzanian teenager and what it's like to be a Form IV student with The Red Sweater Project. Form 4 is the final year of secondary school and thus, there is a very big national examination coming up this semester that will determine whether or not he can continue his education to College/A Levels (or the final two years of high school). This is Barakael's family. 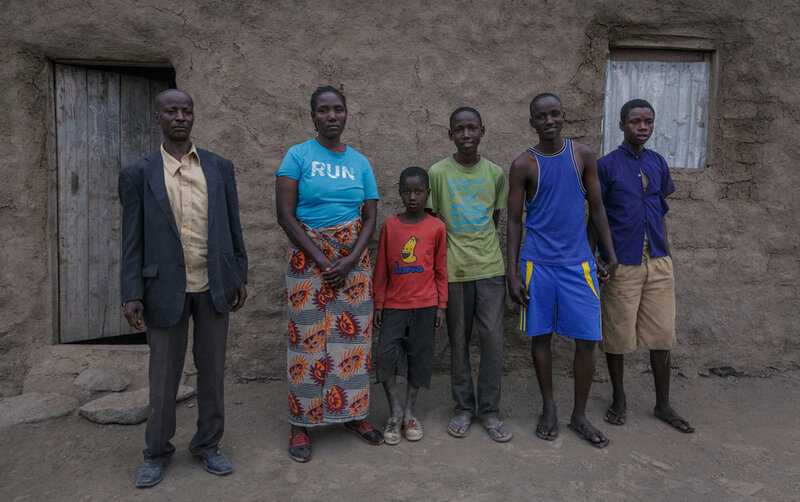 From left to right: His father who is training to be a pastor, his mother, his 10 year old brother, his 16 year old brother Martin who always attends our school, Barakaeli, and his younger brother who is still in primary school, aged 17. (He also has three sisters but they're already married). Every morning, he wakes up at 3 AM. Yes, you read it right - 3 AM. He studies from 3 AM until he eats breakfast at the crack of dawn. 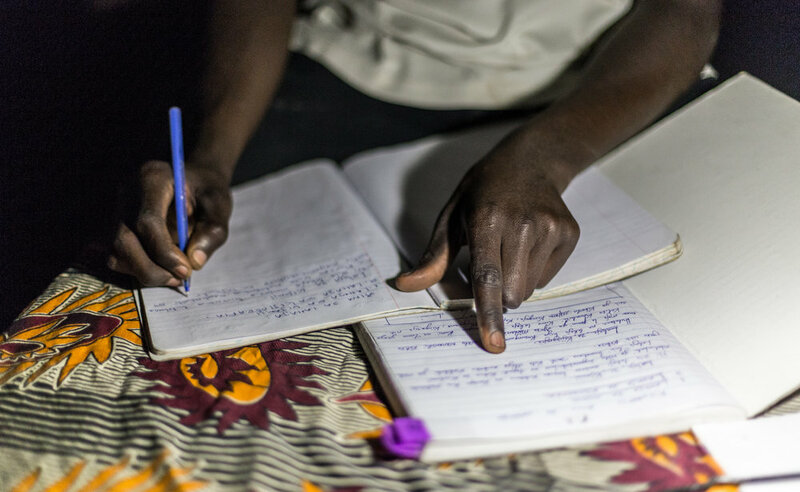 He sits on the edge of his bed, which he shares with his three brothers, and uses a small solar light to study. 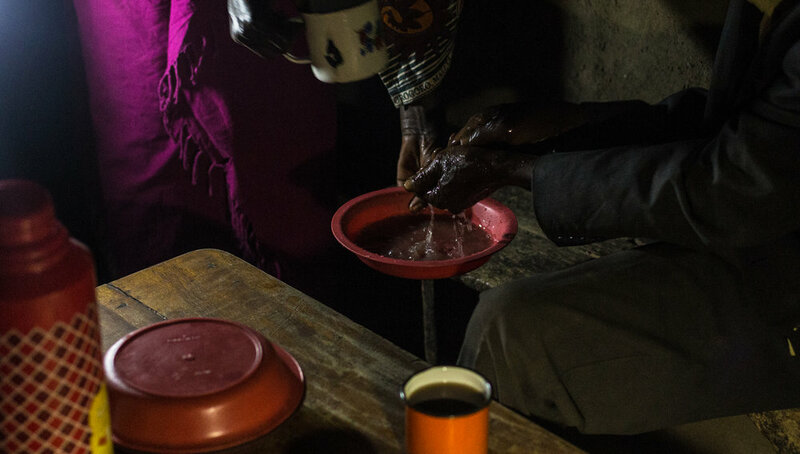 Before eating, they wash their hands with warm water that is kept warm from the previous night by a thermos. The Kenedy family sits around the table for breakfast. As they are a religious Christian family, they always pray before a meal. After praying, the family drinks very sweet tea and each members eats a chapati. The house does not have electricity so they rely on one solar light provided from the school and one flashlight. In the morning, the brothers, Barakael and Martin (in Form 2) walk to school for about 30 minutes. At 7:50, the students of our school line up and sing the national anthem and school song. After the songs, three students each day are chosen to tell the school about what they learned from the previous week. From 8:00 - the students begin studying. The morning has 3 classes, each class is an hour and 20 minutes. This photo is Barakael in his form 4 English class. He was having a discussion about a play they recently read. Students take their lunches. Here the students are taking makande. After studying in three classes, the students eat lunch. We don't have a dining hall so students sit wherever there are platforms. Here the students are sitting next to a water tank. After lunch, Barakael asks his English teacher Jane for some help. After lunch, there is one more 1 hour and 20 minute class and one 40 minute class (until 3 PM). This shows Barakael and best friend Yohana making cones for his Math class. They were learning about geometric shapes and making models since we don't have any examples available. At 3:00, the students line up again for parade and listen to school announcements. After school, Barakaeli walks home. Barakael changes clothes and then does some errands for his mother. Sometimes he fetches water from a public well but on this particular day, he had to go get sugar from the shop and refill his bottle with cooking oil. The three brothers at the village shop. The shop is lit by a solar light. The only shops nearby. One can buy soft drinks such as Coca-Cola, Fanta, Sprite, Ginger-ale - or they can get cooking oil, sugar, flour, etc. Basically basic necessities. Dinner is cooked from around 6 - 8:30. A typical dinner consists of a Tanzanian staple food which is ugali (cornflour or millet and boiled until it gets into dough) and some vegetables on the side. (we eat it at school a few days a week as well). If Barakael has time, he helps prepare dinner. The brothers are on rotation on who helps around the house. 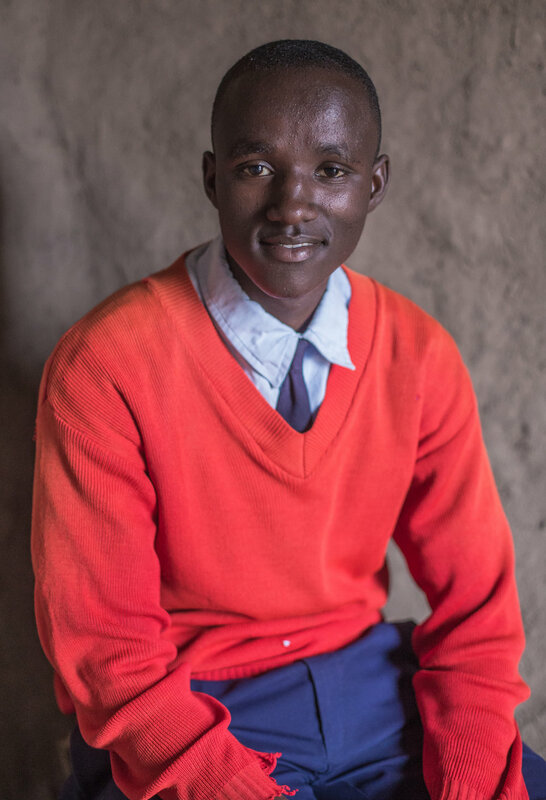 Barakael has limited time before the important exams and needs to get as much time in as he can and so he has a planned schedule for which subjects he studies on which day of the week until it's time for the national examinations. Before dinner/while it is cooking, Barakael studies. Here he is studying Swahili - his native tongue. Barakael's brother, Martin, studies alongside his younger brother borrowing light from Barakael's solar light. He's studying for physics. Dinner is served. Ugali and vegetables. Ugali is the staple food of East Africa. It's essentially boiled cornflower until it becomes a thick paste. Although there aren't many nutrients, it's filling and cheap to make. 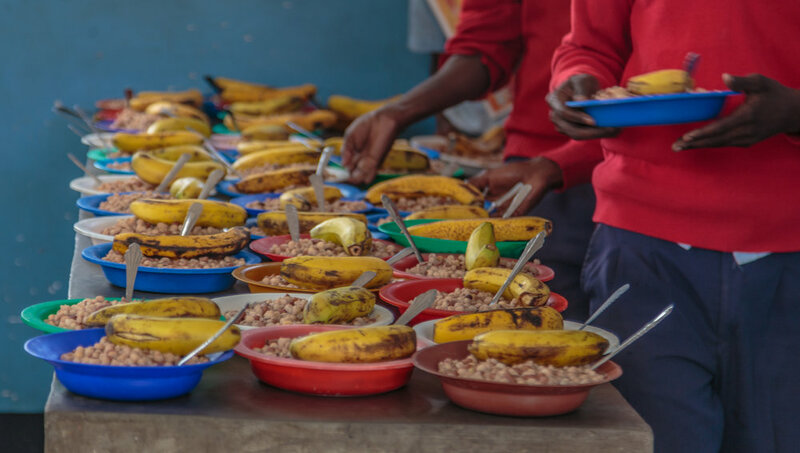 It's eaten with almost every meal, especially in rural communities where there aren't any possible alternatives available. It's usually eaten with your hands - take off a piece, roll it into a ball, and grab some vegetables to eat with it. Barakael continues studying until 10 PM and then he goes to sleep. He sleeps 5 hours and throughout the school week, has the same schedule. He knows that these exams are the most important thing in the world right now for him and therefore sacrifices sleep in order to achieve his goals.